Brady from Fidelity High will be spinning records Saturday, August 4th from 9pm-midnight at Vinyl Tap in Nashville, TN. 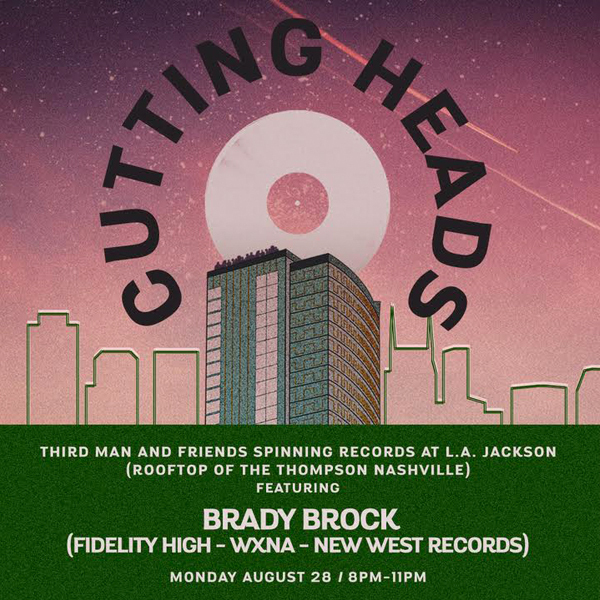 Brady from Fidelity High will be spinning records for Third Man Records' Monday night Cutting Heads series at L.A. Jackson (The Rooftop Bar at the Thompson Hotel) Monday, August 28th from 8-11pm! Brady from Fidelity High will be spinning records for Third Man Records' Monday night Cutting Heads series at L.A. Jackson (The Rooftop Bar at the Thompson Hotel) Monday, June 12th from 8-11pm!